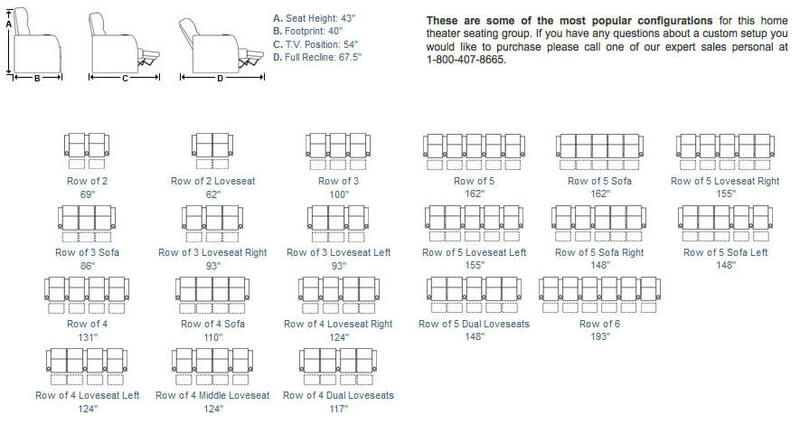 Seatcraft is excited to add the Equinox home theater seat which comes with the new “Power Lumbar Support” feature. 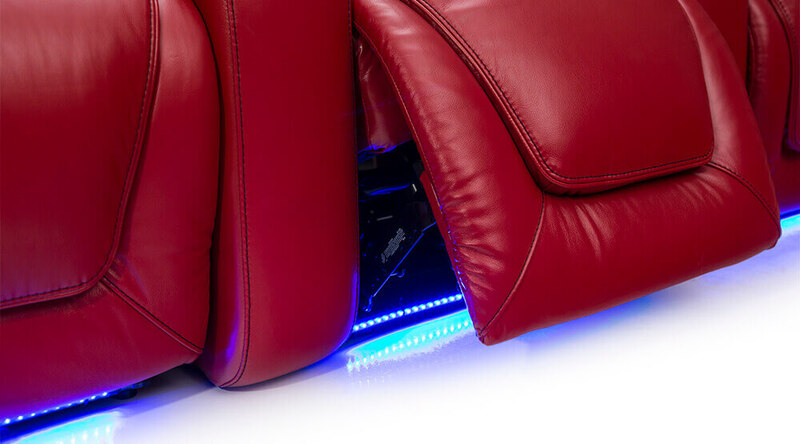 The power lumbar support increases support by adjusting even support against your lower back to keep proper and natural curvature of the lower spine, which results in an extremely comfortable position. 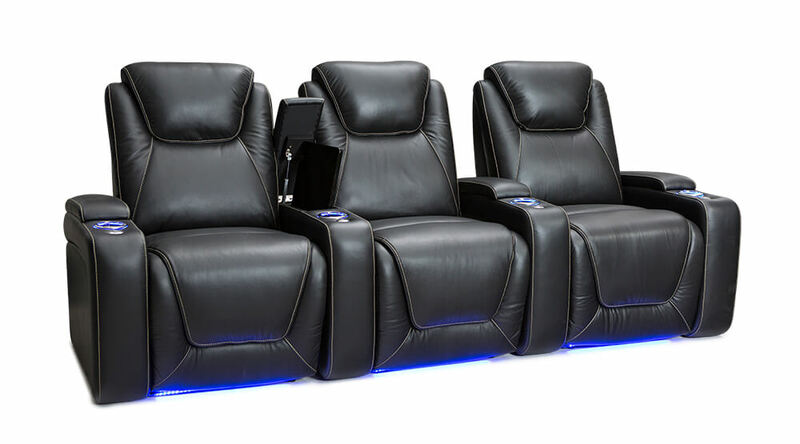 Power recline and power adjustable headrests further increase comfort by placing you in a state of relaxation and desired viewing angle. 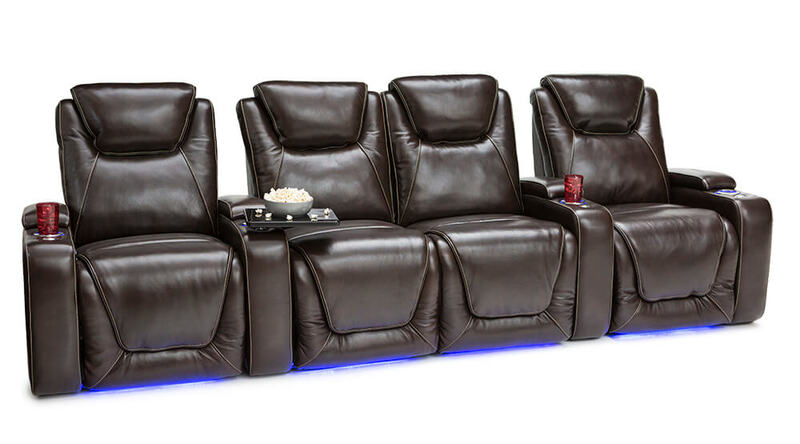 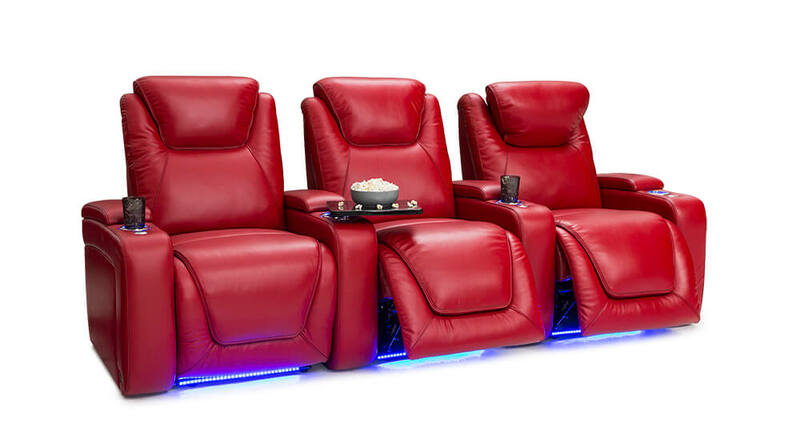 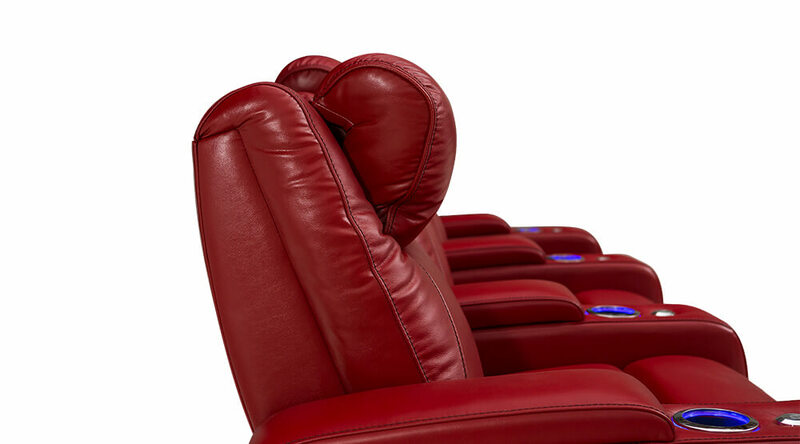 This seat is powered by SoundShaker Transducers that, when powered by the amp, will enhance any audio movie experience by shaking the chair in sync with the on-screen action. 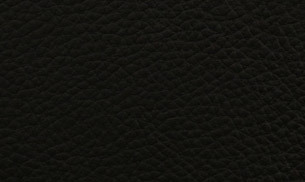 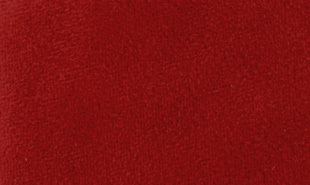 The material used is grade 7000 leather due to its smoothness, extended durability and appearance. 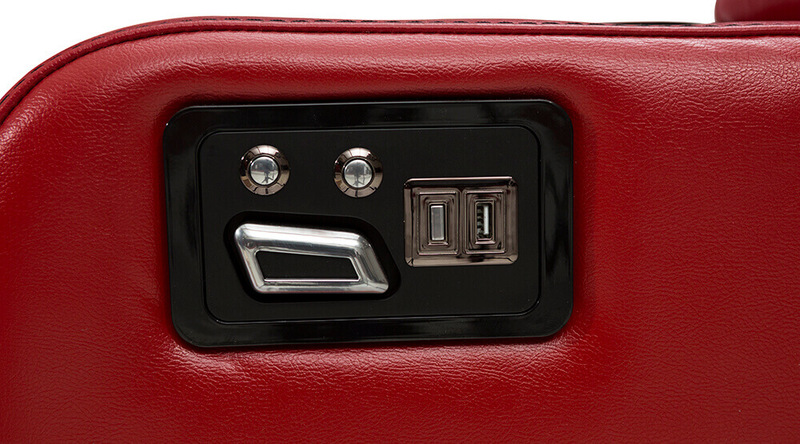 USB charging station is also located in the power switch to charge common devices. 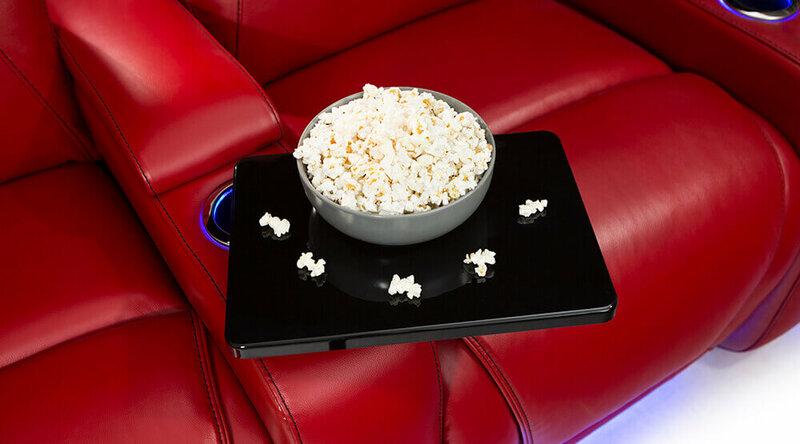 The arms includes a steady grommet for your FREE black tray table, also hidden-arm storage which opens gently with a gas-pump to reveal plenty room to store any devices, remotes, movies, games, etc. 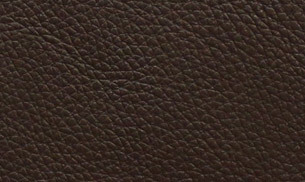 Contrast stitching is included with this chair to compliment the beautiful leather color with a wonderful accent. 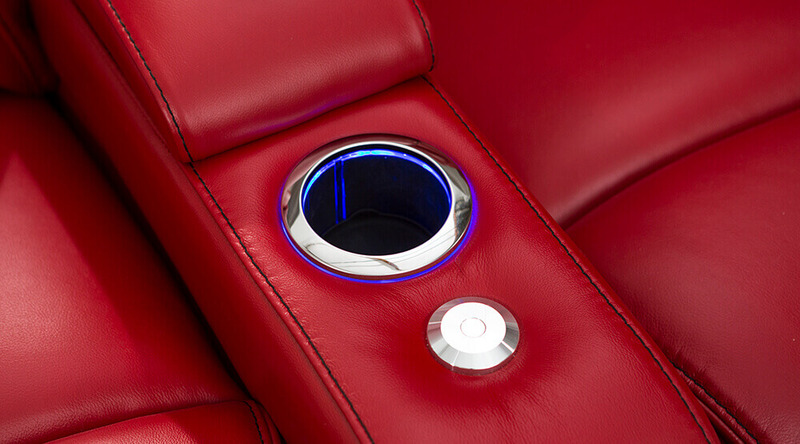 This chair also includes blue azure lighted cupholders and base.